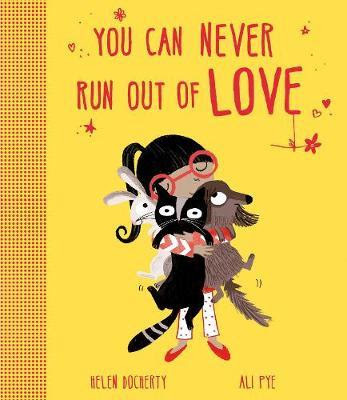 You Can Never Run Out Of Love is an adorable and heartfelt story about love. You can run out of many things. You can run out of biscuits, energy and even chocolate. Which would be the end of the world for some of us. But you can't run out of love. The children from two families discover that you can also run out of socks, time, milk, glue and even ideas. The charming and thought-provoking illustrations by Ali Pye show that love cannot be measured. Ali's illustrations of the three pets are as captivating as the rest of the story. The cat, dog and rabbit react to the words in an amusing way, especially on the page where the family have run out of nappies. I implore you to please share the book, You Can Never Run Out Of Love, with your family, it truly is spectacular.